Movements in favour of public acquisition of Bidston Hill were first made in 1883, and a second attempt started in 1893 with nine men, “The Bidston Hill Committee”. They finally succeeded in 1897, in connection with Queen Victoria’s Diamond Jubilee. The Hill formed part of the estate of Mr Robert Charles de Grey Vyner who conducted negotiations in a handsome manner by taking the lowest of three valuations, making his own contribution to the fund. In 1907 steps were made to secure another portion of the Hill, which was “on the market”. It was feared that the land might be used for building purposes. The area in question was an area of 22 acres on the southeastern slope of the Hill, known as the “Pine Woods”. 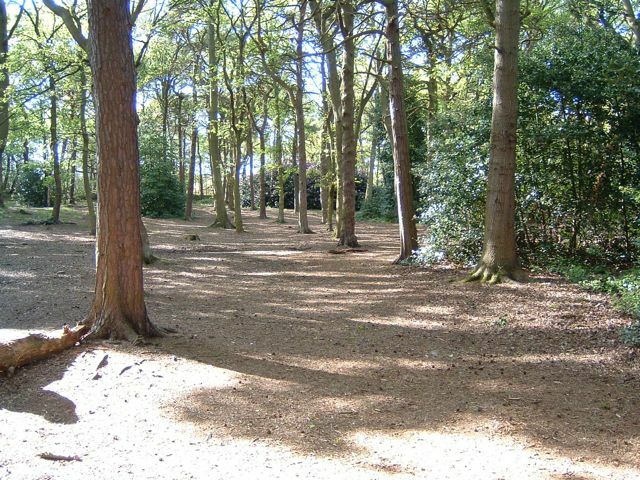 The Pine Woods cost a staggering £10,500 in 1907 and was acquired as a memorial to the late Mr Edmund Taylor whose hard work and influence made its purchase possible. The woods were later named Taylor’s Wood, in honour and memory of his 25 years of service to the area. The wood now appears as a large area of Scots pines with some Corsican Pines, Oaks and a large number of feral Holly bushes. Edmund Taylor is buried across the road in Flaybrick Cemetery (C of E section 7).